It’s easy to get bored with plain old water, it happens to the best of us! As humans, we like variety and flavor. However, juice and soda are awful for you so it’s time to get creative! 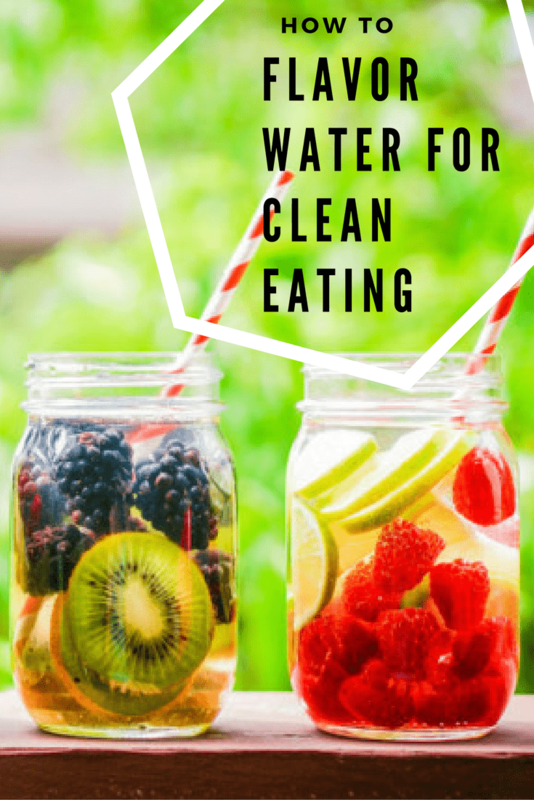 Here are some healthy ways to flavor water while eating clean. ==> In a hurry? 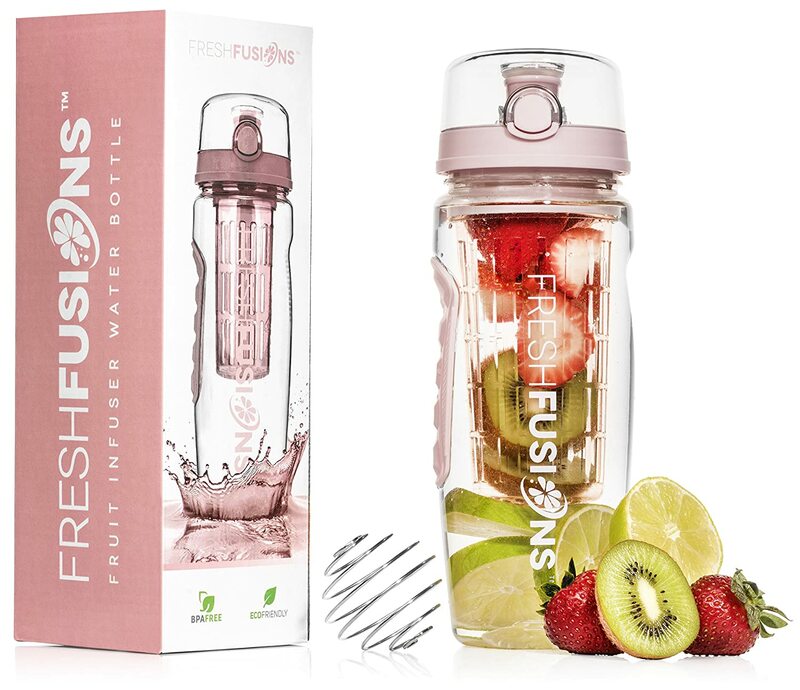 Get your fruit infuser water bottle now & pin the recipes for later! Drinking water, in general, helps with water weight and speeding up your metabolism. Adding fruit and veggies to your water gives you the added benefit of having vitamins, antioxidants, and flavor with your water. The flavor alone is a benefit because it can help kick those soda and juice cravings with virtually no calories. 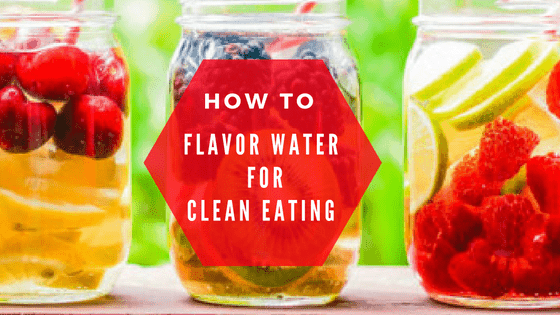 The easiest way to flavor water naturally is with a fruit infuser water bottle. With a fruit infuser water bottle, you just have to stick your fruit and/or veggies in to the fruit infusion chamber and pour your water in to the regular portion of the bottle. Then let it sit in the fridge overnight (or for a few hours) and you’re good to go the next day! I specifically love this bottle because you really get the most bang for your buck. It comes with everything you need to infuse your drink, plus a blender ball to use as a shaker AND an insulated sleeve to keep your drink cold for a few hours. It also holds 32oz vs other ones that only hold 25oz. Oh, and it comes with a water recipe book too! 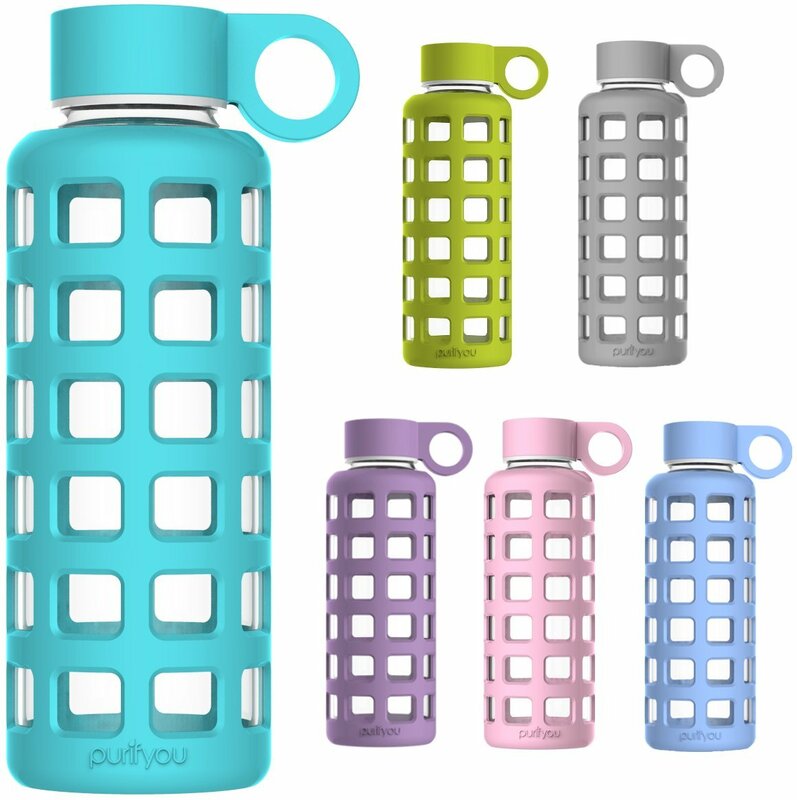 Premium Glass Water Bottle with Silicone Sleeve and Stainless Steel Lid Another option to make your flavored water is a simple glass bottle. Of course, since it’s glass, you’ll want one with a silicone cover so that it doesn’t shatter. With a glass bottle, you just throw all of your fruit and/or veggies in to the bottle and then fill the rest of the bottle with water. Then leave it in the fridge for a few hours so it has time to infuse and drink it when ready! With this bottle, I recommend going for the 32oz because a 12oz bottle isn’t going to feel like nearly enough water! Remember, you should be drinking half of your weight in water daily. 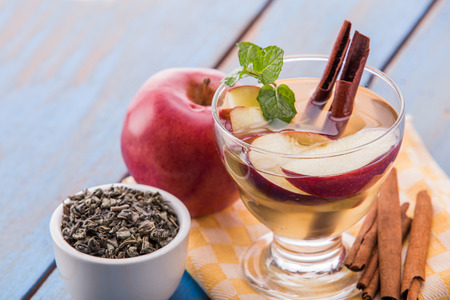 Apple cider is incredibly good for you, the list of benefits can go on forever- and that is the main ingredient here. Because of the ACV, you get the added bonus of clearer skin! Then you get the fiber from the apples that will help keep you fuller longer. The cinnamon is used to speed up metabolism and cut your cravings. 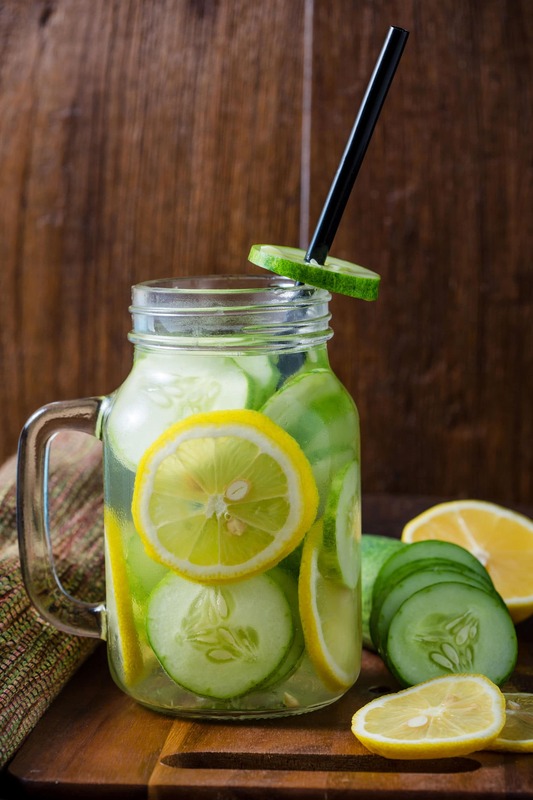 This drink is packed with natural diuretics, fat-burning enzymes, and all of the citrus in this refreshing beverage can help heal the internal digestive tract. This will give your metabolism a boost and will also add fiber to your water and is only 7 calories. Allow the ingredients to chill in the refrigerator for 1-2 hours before serving. Drink throughout the day or discard after 24 hours. This one is just soooo good!! There are plenty of antioxidants stored within the juicy melons, and its nutrient contents are through the roof. 1. 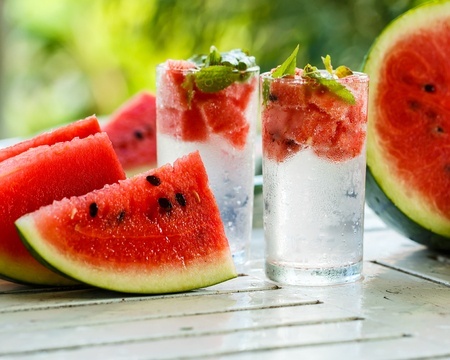 Place Watermelon in pitcher and cover with Water. Now that you have your drinks all figured out, it’s time to figure out your meals! If you need some guidance, I’ve put together a 21 day clean eating meal plan with over 40 recipes, weekly grocery lists, and everything else you need to get started! 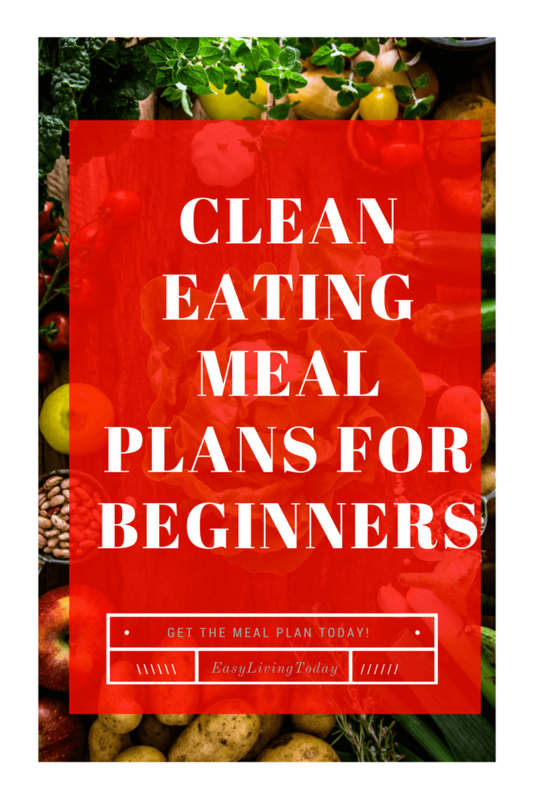 Get your clean eating meal plan now!